édité le 30/04/2018 - Plus de news de "BAKER HUGHES" - Voir la fiche entreprise de "BAKER HUGHES"
Chrysaor, the UK oil & gas independent, today announces the start of a new drilling campaign in its UK portfolio and a new Service Partnership Contract with Baker Hughes, a GE company (NYSE: BHGE). The contract, expected to run for approximately three years, covers the drilling, completion and subsea tie‐in of development wells on Chrysaor’s operated assets, with BHGE supplying well services and equipment from its fullstream portfolio. 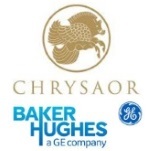 As part of the deal Chrysaor as Operator and BHGE as the Service Partner will share in the risks and rewards associated with both the operations and reservoir outcomes. BHGE will contribute to the costs of the work programme by funding a portion of the capital expenditure in exchange for a higher potential return should certain targets and success criteria, both operational and geological, be met. This innovative approach, which includes the setting up of an integrated team operating under Chrysaor, will ensure complete alignment between the two companies on the outcome of each well. As a result, overall delivery costs are expected to be reduced, improving the commercial attractiveness to Chrysaor of future projects in the sector. Separately Chrysaor has contracted the Rowan Gorilla VII ultra‐harsh environment jack‐up rig for the drilling campaign with an initial contract term of up to 18 months and an option to extend by a further two years. The first well of the programme, a side‐track at the Maria field, is expected to start in early May. “Our initial Maria drilling campaign is the first phase of the redevelopment plans for our operated fields. With the application of focused capital and expertise we believe that we can increase recovery factors, add to our reserve base and extend the field life of the assets. “The innovative service partnership we have struck with BHGE is an important step in ensuring that the full potential of the UK’s North Sea resources is realised. Sharing in both the risks and the rewards of development activities mean that both Chrysaor as operator and BHGE as service provider are fully aligned and invested in the outcome of the programme. "We are pleased to work together with Chrysaor, collaborating with them from an early stage to support their efforts to enhance production opportunities and increase the recovery of North Sea reserves. “In today’s challenging global market, operators must continually optimise efficiency and reliability across their processes and through this collaboration we are demonstrating how BHGE’s integrated expertise, service capabilities and technology portfolio is driving positive outcomes for one of the North Sea’s leading independent operators, and supporting more cost‐effective production. “This agreement is an important step in redefining the rules for collaboration between industry partners." Chrysaor is a private company established in 2007 and focused on generating superior equity returns by developing and commercialising oil and gas incremental resources. The management team has a proven track record of success and seeks to acquire producing fields with associated undeveloped hydrocarbon resources. Chrysaor is now a self‐sustaining full cycle E&P company, with a portfolio of assets balancing near term development with production growth, combined with significant gearing to appraisal and exploration success.